刘华南, 刘家军, 李小伟, 刘冲昊, 代鸿章, 陶银龙, 王建锋, 杜映东, 范云飞. 2018. 内蒙古新地沟金矿床黄铁矿热电性特征及深部找矿意义[J]. 中国地质, 45(4): 819-838. LIU Huanan, LIU Jiajun, LI Xiaowei, LIU Chonghao, DAI Hongzhang, TAO Yinlong, WANG Jianfeng, DU Yingdong, FAN Yunfei. 2018. Thermoelectric characteristics of pyrite from the Xindigou gold deposit in Inner Mongolia and its significance on deep prospecting[J]. Geology in China, 45(4): 819-838. (in Chinese with English abstract). About the first author: LIU Huanan, male, born in 1988, doctor candidate, engages in the study of ore deposit geochemistry; E-mail:northchina1@163.com. Corresponding author: LIU Jiajun, male, born in 1963, professor and supervisor of doctor candidates, engages in the study of ore deposit geochemistry.E-mail:liujiajun@cugb.edu.cn. Abstract: The Xindigou gold deposit in Inner Mongolia is a medium-sized greenstone type gold deposit but belongs to crisis mine which needs replaceable resources, and hence it is of great significance to evaluate the deep resources. Based on the prospecting and genetic mineralogy theory, the authors analyzed the thermoelectric characteristics of pyrites at different elevations and orebodies using the microscope, electron probe and thermoelectric instrument. Some conclusions have been reached:The pyrite crystals are mainly characterized by cubic, pentadododecahedral and poly-type in the Xindigou deposit, the thermoelectric properties of pyrites, ranging from -331.10 to 340.20 μV·℃-1, are mainly of the N type, which accounts for about 80%. The ore-forming temperature of the deposit ranges from 250 to 340℃, indicating that the deposit is a medium temperature gold deposit. The thermoelectric parameters of pyrite vary greatly; the degree of denudation varies from 67.96% to 74.31%. According to the spatial distribution of the thermoelectric parameters of the pyrite and the denudation of the orebody, Youlougou orebody may be located at the bottom, and may have a small-scale extension toward the depth. Drill hole ZK106 of Xiaoxigou or body has a better exploration prospect with largescale extension, and drill hole of ZK102 of Xiaoxigou orebody has more potential than ZK2802 of Dahanqing orebody in terms of exploration prospect in the depth. Furthermore, comprehensive results suggest that the deep deposit has good prospecting potential. Bi Xianwu, Hu Ruizhong, Peng Jiantang, Wu Kaixin. 2004. 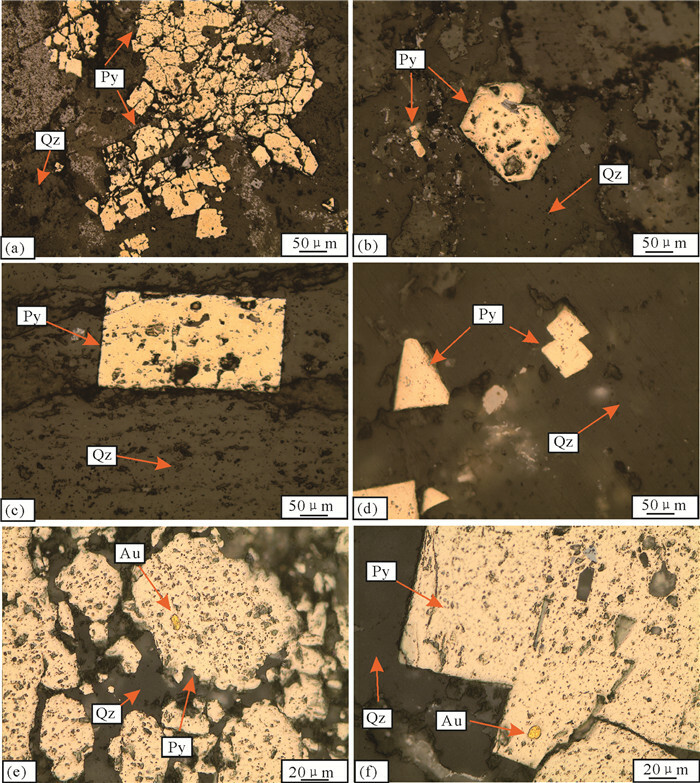 REE and HFSE geochemical characteristics of pyrites in Yao' an Gold deposit:Tracing ore forming fluid signatures[J]. Bulletin of Mineralogy, Petrology and Geochemistry, 23(1): 1-4 (in Chinese with English abstract). Bralia A, Sabatini G, Troja F. 1979. A revaluation of the Co/Ni ratio in pyrite as geochemical tool in ore genesis problems[J]. Mineralium Deposita, 14(3): 353-374. Cai Yuanji, Zhou Mao. 1993. Crystalomorphological characteristics of pyrite in hydrothermal gold deposit:An experimental study[J]. Science in China (Series B), 23(9): 972-978 (in Chinese). Cao Xu, Li Quanheng, Ye Rong, Wang Yong. 2015. Typomorphic characteristics of Pyrites in the 210 gold deposit, Xinjiang Province and its geological significance[J]. Xinjiang Geology, 33(1): 56-60 (in Chinese with English abstract). Chen Guangyuan, Sun Daisheng, Yin Hui'an. 1987. Genetic Mineralogy and Prospecting Mineralogy[M]. Chongqing: Chongqing Publishing Group, 11-32 (in Chinese with English abstract). Chen Guangyuan, Shao Wei, Sun Daisheng. 1989. 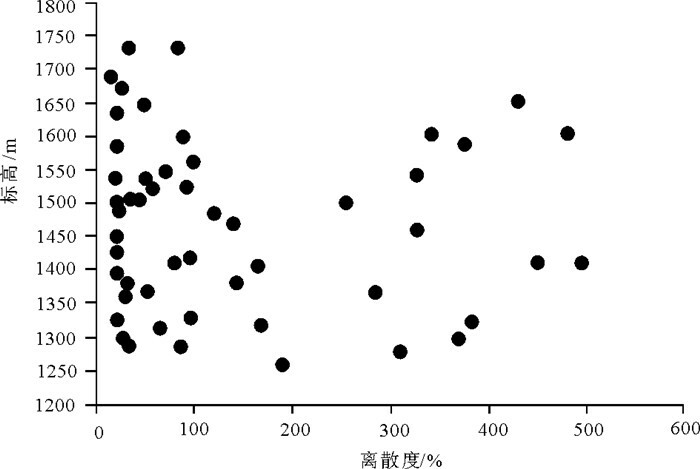 Genetic Mineralogy of Gold Deposits in Jiaodong Region with Emphasis on Gold Prospecting[M]. Chongqing: Chongqing Publishing Group, 94-134 (in Chinese). Chen Haiyan, Li Shengrong, Zhang Xiubao, Zhou Qifeng, Zhang Yunqiang, Liu Zhenhao, Zhang Haifang, Wang Ning. 2011. Thermoelectric character of pyrite from Jinqingding glod deposit in eastern Shandong Province and its significance[J]. Mineral Deposits, (6): 1125-1137 (in Chinese with English abstract). Chen Jianhua, Li Yuqiong, Zhao Cuihua. 2014. First principles study of the occurrence of gold in pyrite[J]. Computational Materials Science, 8: 1-6. Gao Haozhong, Cai Xinping, Zhang Baolin, Wang Jie, Qin Dajun, Liang Guanghe, Xu Xingwang. 1999. The characters of pyrite and gold mineralization[J]. Gold Science and Technology, 7(3): 11-15. Hou Mantang. 1995. Geological significance and characteristic of the thermoelectricity characteristics of pyrite of Taibaimiao gold deposit[J]. Northwestern Geology, 1: 26-35 (in Chinese with English abstract). Hou Mantang. 2000. Study and application of the thermoelectricity characteristics of pyrite of Taibaimiao gold deposit, Zhen'an County, Shaanxi Province[J]. Gold, 21(7): 5-9 (in Chinese with English abstract). Hu Fengxiang, Huang Zhanqi, Li Siwa, Wang Xinliang, Zhang Zhixiang. 2002. The geological characteristics of greenstone and greenstone-type gold deposit in central Inner Mongolia[J]. Progress in Precambrian Research, 25(4): 190-198 (in Chinese with English abstract). Ji Xingzhong, Yang Liqiang, Wang Zhongliang. 2013. 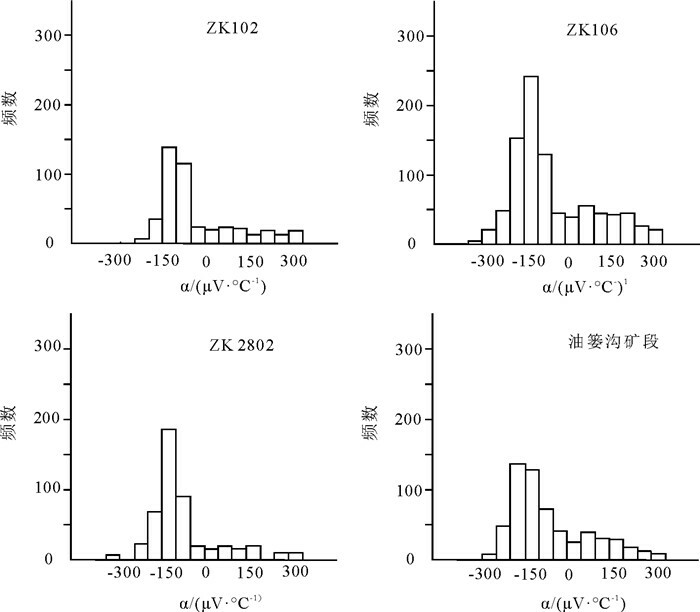 Thermoelectricity characteristics of pyrite from Xincheng Gold Deposit, eastern Shandong[J]. Geoscience, 27(1): 37-45 (in Chinese with English abstract). Lei Wangshan, Zhang Yanfei, Liu Yajun, Liu Jinming. 2017. Typomorphic characteristics of Au-bearing pyrites from Luyuangou altered gold deposit, western Henan Provice[J]. 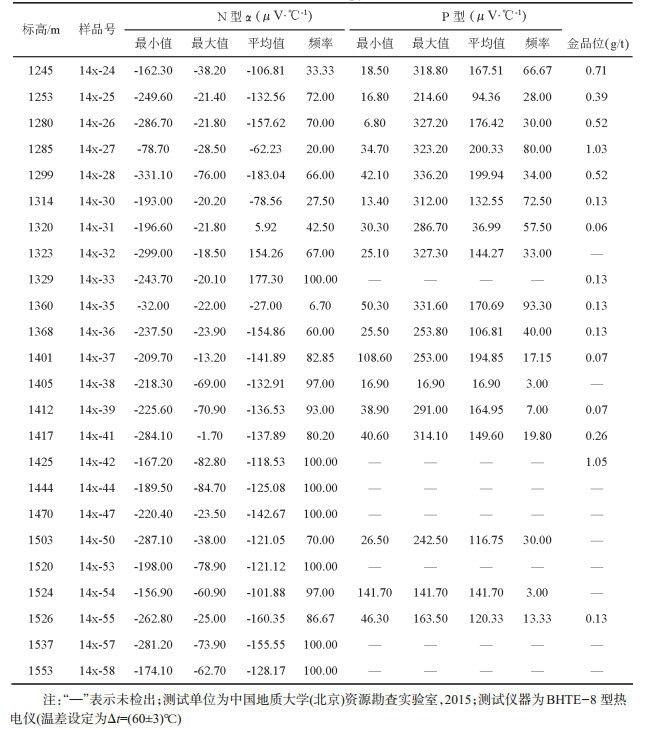 Earth Science Frontiers, 24(2): 176-185 (in Chinese with English abstract). Li Chenglu, Li Shengrong, Xu Wenxi, Yuan Maowen, Li Shisheng, Qu Hui, Wang Zhuo. 2018. Typomorphic characteristics and stable isotopes of pyrite from the Yongxin Tellurium-Golddeposit in Heilongjiang Province[J]. Bulletin of Mineralogy, Petrology and Geochemistry, 37(1): 75-86 (in Chinese with English abstract). Li Chenglu, Li Shengrong, Luo Junyan, Song Jiye, Zhang Juquan. 2009. Thermoelectric coefficient, conductive type and significiance of the Pyrite from Yixingzhai gold deposit in Fanshi County, Shanxi Province, China[J]. Geoscience, 23(6): 1056-1063 (in Chinese with English abstract). Li Hongbing, Zeng Fanzhi. 2005. The pyrite's typomorphic characterisitics in gold deposit[J]. Contributions to Geology and Mineral Resources Research, 20(3): 199-203 (in Chinese with English abstract). Li Jie, Shen Junfeng, Li Jinchun, Liu Shengqiang, Wang Dongli, Zhang Hong. 2016. Stable isotope geochemical characteristics and oreforming material source of the Gangcha gold deposit, Gansu Province, China[J]. Bulletin of Mineralogy, Petrology and Geochemistry, 35(2): 379-384. Li Junjian, Zhou Xuewu, Shen Baofeng, Hu Fengxiang, Sang Haiqing, Liu Xiaoyang, Wang Jianmin, Li Tiejun. 2005. Metallogenic age of the XinDigou greenstone belt-type gold deposit in the Daqingshan area, central inner Mongolia[J]. Geology and Prospecting, 41(5): 1-4. Li Nan, Yang Liqiang, Zhang Chuang, Zhang Jing, Lei Shibin, Wang Hengtao, Wang HongWei, Gao Xue. 2012. Sulfur isotope characteristics of the Yangshan gold belt, west Qinling:Constraints on ore-forming environment and material source[J]. Acta Petrologica Sinica, 28(5): 1577-1587 (in Chinese with English abstract). Li Qing, Li Shengrong, Zhang Xiubao, Zhang Linjie, Zhao Yi, Zhao Fuwang, Liu Yang. 2013. Thermoelectric coefficient of Pyrite from the Xishimen Gold Deposit in Lingshou County, Heibei Province and its Prospecting significance[J]. Acta Geologica Sinica, 87(4): 542-553 (in Chinese with English abstract). Li Shengrong, Chen Guangyuan, Shao Wei, Sun Daisheng. 1996. 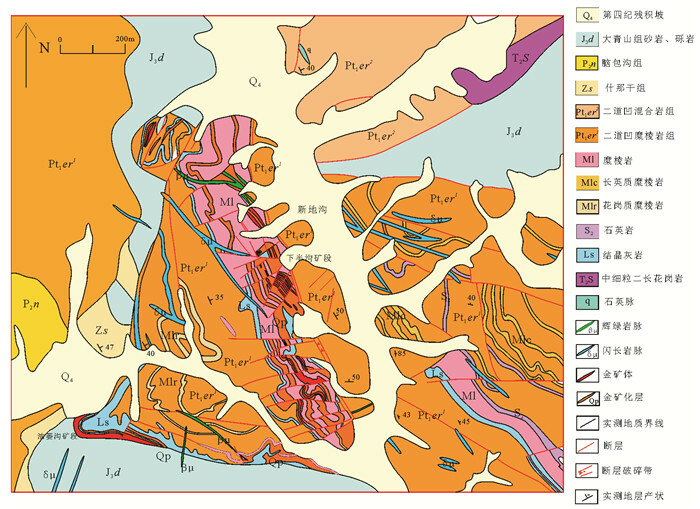 Genetic Mineralogy in Rushan Gold Mines, Jiaodong Region[M]. Beijing: Geological Publishing Group, 89-93 (in Chinese). Li Shengrong, Chen Guangyuan, Shao Wei, Sun Daisheng. 1994. 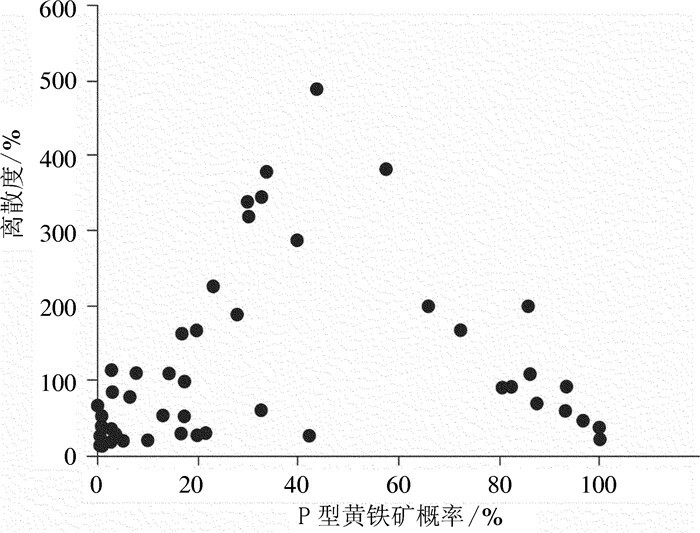 Study on morphology of pyrite from Rushan gold mines, Jiaodong region[J]. Contributions to Geology and Mineral Resouces Research, 9(1): 79-86 (in Chinese with English abstract). Li Shengrong, Deng Jun, Hou Zengqian, Xiao Run, Yuan Wanming, Feng Xiaoliang, Zhao Zhidan, Shen Junfeng, Zhou Su. 2001. Regional fractures and denudation of gold deposits in Gangdise belt, Tibet:Enlightenment of Ag/Au ratio[J]. Science in China(series D), (S1): 104-108 (in Chinese). Li Yifan, Li Hongkui, Tang Qiyun, Zhuo Chuanyuan, Geng Ke, Liang Taitao. 2015. Typomorphic characteristics and geological significance of Pyrite in Jiudian gold deposit, Shandong Province[J]. Gold Science and Technology, 23(2): 45-50 (in Chinese with English abstract). Liu Chonghao, Liu Jiajun, Wang Jianping, Wu Jie, Wang Weiyu, Wang Lixin, Yu Kangwei, Chen Dong, Li Zhiguo. 2013. Thermoelectric characteristics of pyrite from the main ore zone of Huachanggou gold deposit, Shangxi Province and its significance[J]. Earth Science Frontiers, 20(4): 264-272 (in Chinese with English abstract). Liu Huanan, Liu Jiajun, Dai Hongzhang, Tao Yinlong, Wang Lei, Wang Janfeng. 2016. 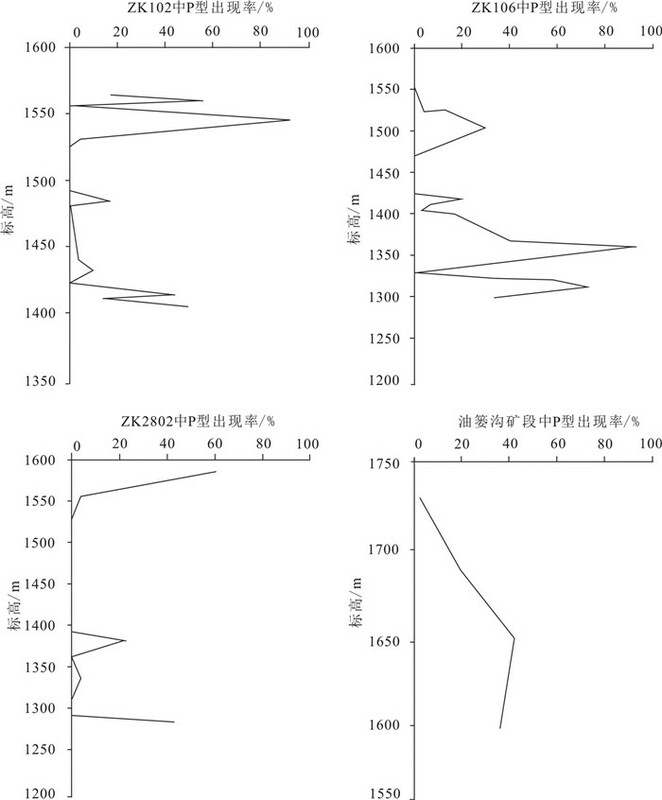 Modes of occurrence of gold in the Xindigou gold deposit, Inner Mongolia[J]. Geology in China, 43(1): 261-274 (in Chinese with English abstract). Liu Huanan. Study on Geochemistry and Ore Genesis of the Xindigou Gold Deposit in Inner Mongolia, China[D]. Beijing: China University of Geosciences(Beijing), 2016. Liu Kun, Liu Jiajun, Wu Jie, Liu Chonghao, Yang Shangsong, Xin Xiaojun, Li Yuan. 2014. Thermoelectric characteristic of pyrites from No.8 Orebody of the Mawu gold deposit in Gansu Province and its significance[J]. Geoscience, 28(4): 711-720 (in Chinese with English abstract). Liu Ping, Qiu Zhaoxia. 1991. The distribution features of pyroelectric coefficient values of pyrite samples from some gold deposits in China and their significance[J]. Acta Mineralogica Sinca, 11(1): 60-69 (in Chinese with English abstract). Liu Xun, You Guoqing. 2015. Tectonic regional subdivision of China in the light of plate theory[J]. Geology in China, 42(1): 1-17 (in Chinese with English abstract). Liu Yuheng, Li Baolong, Cao Xu, Luo Maocheng, Zhou Wenllin. 2015. Ore-forming fluid characteristics of the Jinchang gold deposit in Hainan island of China and its constrainton ore genesis[J]. Acta Geologica Sinica, 89(4): 755-765 (in Chinese with English abstract). Lv Zhaoheng. 2012. Geological characteristics and genesis in the Xindigou gold deposite in Chahaeryouqi, Inner Mongolia[J]. West Resources, 2012(5): 144-149. Murowchick J B, Barnse H L. 1987. Effects of temperature and degree of supersaturation on pyritemorphology[J]. American Mineralogist, 72: 1241-1250. Quan Zhigao. 1995. 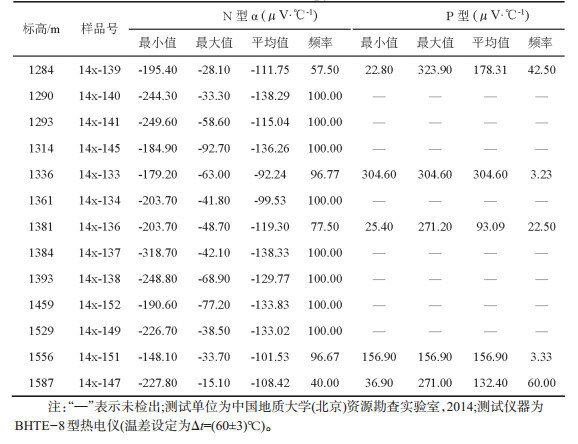 A study on thermoelectricity of gold-bearing pyrite in Pangjiahe and Zuojiazhuang deposits[J]. Mineral Resources and Geology, 9(6): 509-513 (in Chinese with English abstract). Rao Dongping, Cao Xinzhi, Xu Bojun, Zhao Ming. 2010. Typomorphic characteristics of pyrite and its prospecting significance in Jinwozi deposit, Xinjiang[J]. Gold, 31(10): 10-16 (in Chinese with English abstract). Shao Jielian. 1988. Prospecting Mineralogy of Gold Ore[M]. Wuhan: China University of Geosciences Press, 2-7. Shao Wei, Chen Guangyuan, Sun Daisheng. 1990. 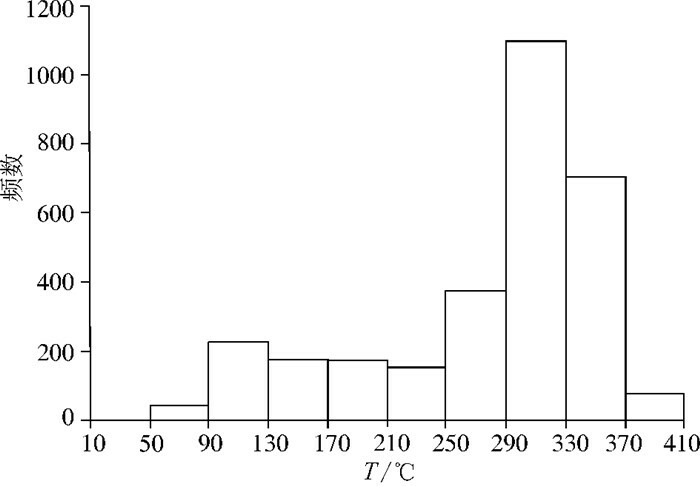 Method of investigating thermoelectricity of pyrity and its applicantion of pyrites from gold deposits in Jiaodong region[J]. Geoscience, 4(1): 46-57 (in Chinese with English abstract). Shen Junfeng, Li shengrong, Du Bosong, Wang Dongli, Liu Haiming, Peng Zidong, Bo Haijun, Li Ke, Liu Shengqiang. 2018. Minerals alteration and typomorph in gold deposit and their implications for prospecting[J]. Bulletin of Mineralogy, Petrology and Geochemistry, 37(2) (in Chinese with English abstract). Shuey R T. 1975. Semiconducting ore mineral[M]. Amsterdam, Oxford, New York: Elsevier Scientific Publishing Company, 51-52. Song Huanbin. 1989. Applications of typomorphic characteristics of Pyrite in gold geology[J]. Geology and Prospecting, 25(7): 31-37 (in Chinese with English abstract). Suo Jianjun, Wang Lijin. 1993. Discussion on the typomorphic characteristics of the minerals of the Hatu gold deposit and the denudation depth of the deposit[J]. Xinjiang Nonferrous Metals: 8-11. Wang Shouguang, Wang Cunxian, Zheng Baojun, Shen Cunli, Xu Zhongpei. 2004. 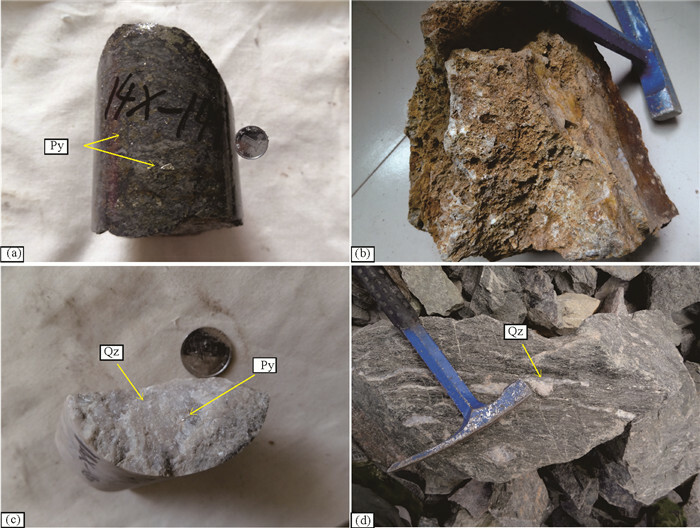 The geochemical characteristics of Xindigou gold deposit, Inner Mongolia[J]. Geological Survey and Research, 27(2): 112-117 (in Chinese with English abstract). Wang Xinliang, Hu Fengxiang, Su Maorong, Hao Junfeng. 2002. Geological features, metallogenetic condition and regularity of Xindigou gold deposit, Inner Mongolia[J]. Inner Mongolia Geology, (4): 1-7 (in Chinese with English abstract). Wang Yafen. 1981. The Co/Ni ratio of pyrite in the marine volcanic rock type copper deposit and its geological significance[J]. Geology and Exploration, (8): 52-58 (in Chinese). Wu Fei, Zhang Shuanhong, ZhaoY ue, Ye Hao. 2014. Emplacement depths of the Early Permian plutons in Guyang area of northern North China Block and their tectonic implications[J]. 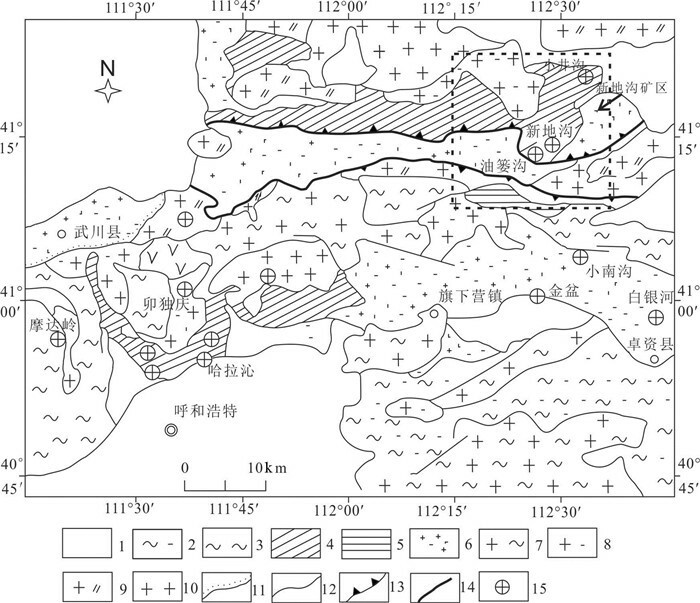 Geology in China, 41(3): 842-837 (in Chinese with English abstract). Xian Yongjun. Study on the defects of pyrite crystal and its surface adsorption characteristics[D]. Kunming: Kunming University of Science and Technology, 2013. Xie Yuling, Xu Jiuhua, Qian Dayi, He Zhili. 1999. Pyroelectricity of pyrite and application to prospecting in Taibai gold deposit[J]. Journal of University of Science and Technology (Beijing), (1): 1-5 (in Chinese with English abstract). Xu Jiehui, Ge Wensheng, Xing Dechao, Chen Xiaodong, Song Wenjie, Yu Wenlin, Zhang Wei, Wu Shengjun. 2015. Thermoelectric characteristics and trace element characteristics of pyrite from Kangguer gold deposit in eastern Tianshan of Xinjiang and its geological significance[J]. Geoscience, 29(3): 542-552 (in Chinese with English abstract). Yan Yutong, Li Shengrong, Jia Baojian, Zhang Na, Yan Lina. 2012. Composition typomorphic characteristics and statistic analysis of pyrite in gold deposits of different genetic types[J]. Earth Science Frontiers, 19(4): 214-226 (in Chinese with English abstract). Yang Zhusen, Li Hongyang, Gao Zhenmin, Wang Zhijing. 2000. 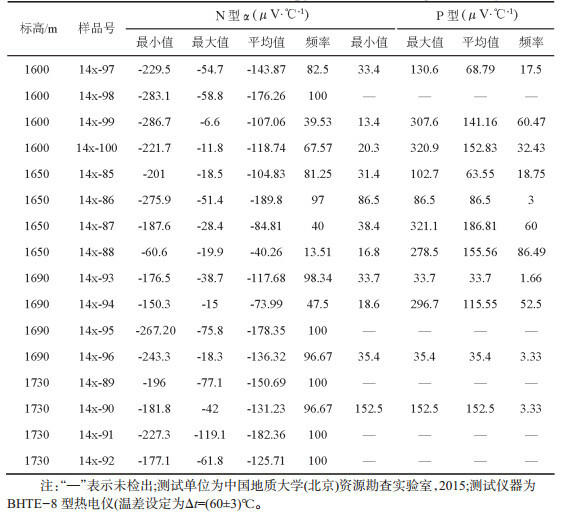 A study on thermoelectricity of pyrite from super high-grade gold deposits, Northern Jiaodong[J]. Mineral Deposits, 19(4): 307-314 (in Chinese with English abstract). Yao Meijuan, Shen Junfeng, Li Shengrong, Cao Ye, Liu Xiuyan. 2008. Thermoelectric and thermal decrepitation characteristics of pyrite in the Qianhe gold deposit, Songxian County, Henan, China, and their relationships with gold mineralization[J]. Geological Bulletin of China, 27(5): 649-656 (in Chinese with English abstract). Yu Mingjie, Wang Jingbin, Mao Qigui, Fang Tonghui, Zhang Rui, Cheng Fenwei. 2016. Pyroelectricitical characteristics of pyrite from the No.M1 orebody in Meiling copper-gold deposit and its geological significance in the Kalatage area, eastern Tianshan[J]. Mineral Exploration, 7(1): 149-156 (in Chinese with English abstract). Yu Wenlin, Ge Wensheng, Liao Hua, Hu Weixing, Lu Shudong, Liu Xu, Li Lei, Wang Quanle. 2018. 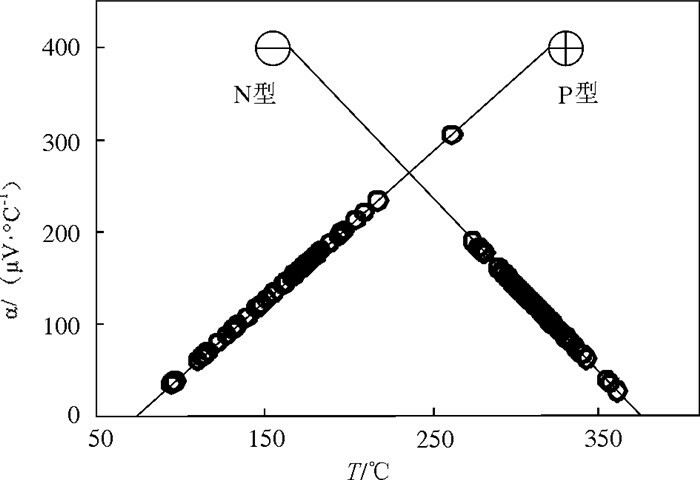 Thermoelectricity and trace element characteristics of Pyrites from Tiyier gold deposit in west Junggar, Xinjiang and their geological significance[J]. Geoscience, 32(1): 66-76 (in Chinese with English abstract). Zhai Degao, Liu Jiajun, Han Siyu, Wang Jianping, Zhang Hongyu, Liu Zhenjiang, Yang Longbo, Lv Jun. 2013. Typomorphic characteristics of pyrite and processes of changes and preservation of Sangdaowanzi telluride-gold deposit in Heilongjiang Province[J]. Acta Geological Sinica, 87(1): 81-90 (in Chinese with English abstract). Zhai Yusheng, Miao Laicheng, Xiang Yunchuan, Deng Jun, Wang Jianping. 2002. Preliminary discussion on gold ore-forming system in greenstone belt-type of north China craton[J]. Earth Science-Journal of China University of Geosciences, 27(5): 522-531 (in Chinese with English abstract). Zhang Baolin, Cai Xinping, Wang Jie, Xu Xingwang, Qin Dajun, Gao Haozhong. 1999. A priliminary study of the denudation extent of Mesozoic Vein gold deposits of continental volcanic rocks in the northern part of the greater and lesser Hinggan mountains, northeast China[J]. Geological Review, 45(S1): 414-421 (in Chinese with English abstract). Zhang Fangfang, Wang Jianping, Liu Chonghao, Cao Ruirong, Cheng Jianjun, Yang Yongrong, Qi Feng, Wang Luo. 2013. The crystal forms and thermoelectricity of pyrite from the Shuangwang gold deposit, Shaanxi Province and their applications to metallogenic prognosis[J]. Geology in China, 40(5): 1634-1643 (in Chinese with English abstract). Zhang Ruizhomg, Wang Zhongliang, Wang Sirui, Liu Yu, Qin Wenkai. 2016. Metallognic mechanism of Dayingezhuang gold deposit, northwestern Jiaodong Peninsula:Geochemistry constrains from the gold bearing pyrite typomorph and sulfur isotope[J]. Acta Petrologica Sinica, 32(8): 2451-2464 (in Chinese with English abstract). Zhang Yu, Yuan Wanming, Wang Qingfei, Liu Xiangwei, Ma Nan, Zhao Kai. 2010. Thermoelectric and thermal decrepitation characteristics of pyrites from Jiapigou gold ore belt, Jinlin Province[J]. Geoscience, 34(5): 870-879 (in Chinese with English abstract). Zhang Yunqiang, Chen Haiyan, Li Xian, Wei Wentong, Zhang Zhenli, Xu Hongcai, Liu Zengxiao, Peng Qianpeng. 2014. Geochemistry of the Mesoproterozoic diabase sills from Yanshan Mountain area in the northern part of North China Plate[J]. Geology in China, 41(2): 351-360 (in Chinese with English abstract). Zhong Fuping, Zhong Jianhua, Ahmatjan Abdurahman, Wang Yi, You Weifeng, Yang Liwei. 2015. Timing and scale of the destruction of the north China craton:Revelation from the early Cretaceous volcanic rocks in Suhongtu depression of Inggen-Ejin Banner basin[J]. Geology in China, 42(2): 435-456 (in Chinese with English abstract). 毕献武, 胡瑞忠, 彭建堂, 吴开兴. 2004. 黄铁矿微量元素地球化学特征及其对成矿流体性质的指示[J]. 矿物岩石地球化学通报, 23(1): 1-4. 蔡元吉, 周茂. 1993. 金矿床黄铁矿晶形标型特征实验研究[J]. 中国科学(B辑), 23(9): 972-978. 陈光远, 孙岱生, 殷辉安. 1987. 成因矿物学找矿矿物学[M]. 重庆: 重庆出版社, 397-702. 陈光远, 邵伟, 孙岱生. 1989. 胶东金矿成因矿物学与找矿[M]. 重庆: 重庆出版社, 94-134. 陈海燕, 李胜荣, 张秀宝, 周起凤, 张运强, 刘振豪, 张海芳, 王宁. 2011. 胶东金青顶金矿床黄铁矿热电性标型特征及其地质意义[J]. 矿床地质, (6): 1125-1137. 高浩中, 蔡新平, 张宝林, 王杰, 秦大军, 梁光河, 徐兴旺. 1999. 黄铁矿的诸多特征与金矿化[J]. 黄金科学技术, (3): 11-15. 侯满堂. 1995. 陕西镇安太白庙金矿床黄铁矿标型特征及其地质意义[J]. 西北地质, (1): 26-35. 侯满堂. 2000. 陕西镇安太白庙金矿黄失矿热电性特征研究及其应用[J]. 黄金, 21(7): 5-9. 胡凤翔, 黄占起, 李四娃, 王新亮, 张志祥. 2002. 内蒙古中部地区绿岩及绿岩型金矿成矿地质特征[J]. 前寒武纪研究进展, 25(4): 190-198. 戢兴忠, 杨立强, 王中亮. 2013. 胶东新城金矿床黄铁矿热电性特征[J]. 现代地质, (1): 37-45. 雷万彬, 张严飞, 刘亚剑, 刘锦明. 2017. 豫西陆院沟蚀变岩型金矿床黄铁矿标型研究[J]. 地学前缘, 24(2): 176-185. 李成禄, 李胜荣, 徐文喜, 袁茂文, 李士胜, 曲晖, 王卓. 2018. 黑龙江省嫩江县永新碲金矿床黄铁矿标型特征及稳定同位素研究[J]. 矿物岩石地球化学通报, 37(1): 75-86. 李成禄, 李胜荣, 罗军燕, 宋继叶, 张聚全. 2009. 山西繁峙义兴寨金矿黄铁矿热电系数与导型特征及其地质意义[J]. 现代地质, (6): 1056-1063. 李杰, 申俊峰, 李金春, 刘圣强, 王东丽, 张弘. 2016. 甘肃岗岔金矿床同位素地球化学特征及成矿物质来源探讨[J]. 矿物岩石地球化学通报, 35(2): 379-384. 李俊建, 周学武, 沈保丰, 胡凤翔, 桑海清, 刘晓阳, 王建民, 李铁军. 2005. 内蒙古中部大青山新地沟绿岩带型金矿的成矿时代[J]. 地质与勘探, (5): 1-4. 李楠, 杨立强, 张闯, 张静, 雷时斌, 王恒涛, 王宏伟, 高雪. 2012. 西秦岭阳山金矿带硫同位素特征:成矿环境与物质来源约束[J]. 岩石学报, 28(5): 1577-1587. 李青, 李胜荣, 张秀宝, 张林杰, 赵毅, 赵夫旺, 刘洋. 2013. 河北省灵寿县西石门金矿黄铁矿热电性标型及其找矿意义[J]. 地质学报, 87(4): 542-553. 李胜荣, 陈光远, 邵伟, 孙岱生. 1994. 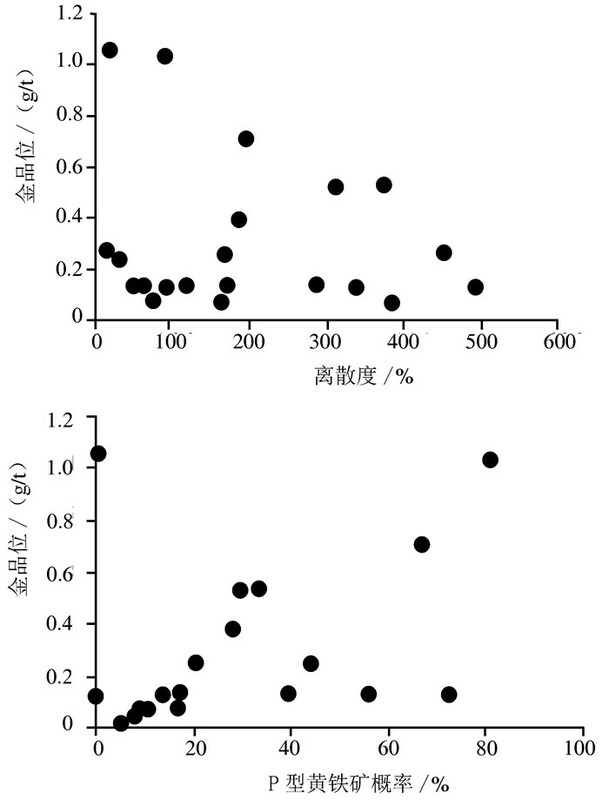 胶东乳山金矿黄铁矿形态研究[J]. 地质找矿论丛, 9(1): 79-86. 李胜荣, 陈光远, 邵伟, 孙岱生. 1996. 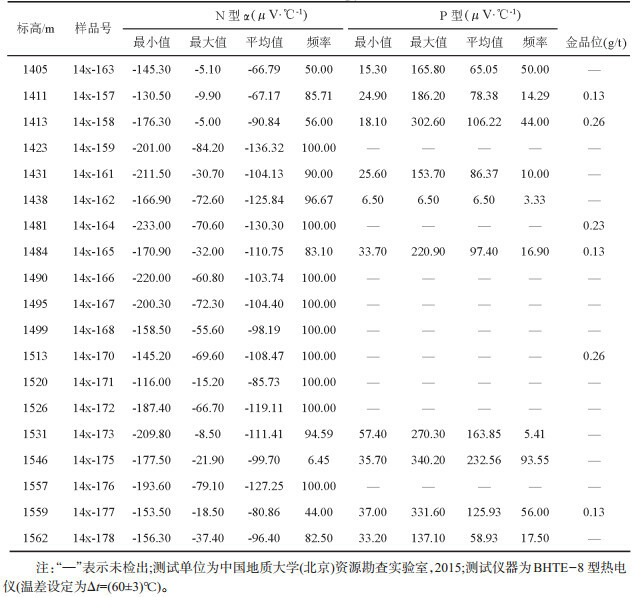 胶东乳山金矿田成因矿物学[J]. 北京:地质出版社: 89-93. 李胜荣, 邓军, 侯增谦, 肖润, 袁万明, 冯效良, 赵志丹, 申俊峰, 周肃. 2001. 西藏冈底斯带区域性断裂与金矿床剥蚀程度:Ag/Au比值的启示[J]. 中国科学(D辑:地球科学), 31(S1): 104-108. 李逸凡, 李洪奎, 汤启云, 禚传源, 耿科, 梁太涛. 2015. 山东旧店金矿黄铁矿标型特征及其地质意义[J]. 黄金科学技术, 02: 45-50. 刘冲昊, 刘家军, 王建平, 吴杰, 王维钰, 王立新, 于康伟, 陈冬, 李志国. 2013. 陕西省铧厂沟金矿床主矿带黄铁矿热电性特征及其地质意义[J]. 地学前缘, 20(4): 1-26. 刘华南. 2016. 内蒙古新地沟金矿床地球化学与矿床成因研究[D]. 北京: 中国地质大学(北京). 刘坤, 刘家军, 吴杰, 刘冲昊, 杨尚松, 辛晓军, 李渊. 2014. 甘肃马坞金矿床8号矿体黄铁矿热电性特征及其地质意义[J]. 现代地质, 28(4): 711-720. 刘平, 邱朝霞. 1991. 某些金矿床中黄铁矿热电系数值的分布特点及其意义[J]. 矿物学报, 11(1): 60-69. 刘训, 游国庆. 2015. 中国的板块构造区划[J]. 中国地质, 1: 1-17. 刘昱恒, 李宝龙, 曹煦, 罗茂澄, 周文林. 2015. 海南金昌金矿成矿流体特征及其对矿床成因的制约[J]. 地质学报, (4): 755-765. 吕召恒. 2012. 内蒙古察哈尔右翼中旗新地沟金矿床地质特征及矿床成因探讨[J]. 西部资源, (5): 144-149. 权志高. 1995. 庞家河、左家庄金矿床载金矿物黄铁矿热电性的研究[J]. 矿产与地质, 9(6): 509-513. 邵洁涟. 1988. 金矿找矿矿物学[M]. 武汉: 中国地质大学出版社, 2-7. 邵伟, 陈光远, 孙岱生. 1990. 黄铁矿热电性研究方法及其在胶东金矿的应用[J]. 现代地质, 4(1): 46-57. 申俊峰, 李胜荣, 杜柏松, 王冬丽, 刘海明, 彭自栋, 薄海军, 李可, 刘圣强. 2018. 金矿床的矿物蚀变与矿物标型及其找矿意义[J]. 矿物岩石地球化学通报, 37(2). 宋焕斌. 1989. 黄铁矿标型特征在金矿地质中的应用[J]. 地质与勘探, 25(7): 31-37. 王守光, 王存贤, 郑宝军, 沈存利, 徐宗培. 2004. 内蒙古新地沟绿岩型金矿床地球化学特征[J]. 地质调查与研究, 27(2): 112-117. 王新亮, 胡凤祥, 苏茂荣, 郝俊峰. 2002. 内蒙古大青山新地沟金矿地质特征、成矿条件及成矿规律[J]. 内蒙古地质, (4): 1-7. 王亚芬. 1981. 海相火山岩型铜矿床中黄铁矿Co/Ni比值特征及地质意义[J]. 地质与勘探, (8): 52-58. 吴飞, 张拴宏, 赵越, 叶浩. 2014. 华北地块北缘内蒙古固阳地区早二叠世岩体的侵位深度及其构造意义[J]. 中国地质, 41(3): 824-837. 先永骏. 2013. 黄铁分晶体缺陷及其表面吸附特性的研究[D]. 昆明: 昆明理工大学. 许杰辉, 葛文胜, 邢德超, 陈晓东, 宋文杰, 余文林, 张伟, 吴生军. 2015. 新疆东天山康古尔金矿黄铁矿热电性与微量元素特征及其地质意义[J]. 现代地质, 29(3): 542-552. 严育通, 李胜荣, 贾宝剑, 张娜, 闫丽娜. 2012. 中国不同成因类型金矿床的黄铁矿成分标型特征及统计分析[J]. 地学前缘, 19(4): 214-226. 杨竹森, 李红阳, 高振敏, 王志敬. 2000. 胶东北部超高品位金矿黄铁矿热电性研究[J]. 矿床地质, 19(4): 307-314. 要梅娟, 申俊峰, 李胜荣, 曹烨, 刘秀艳. 2008. 河南嵩县前河金矿黄铁矿的热电性热爆特征及其与金矿化的关系[J]. 地质通报, 27(5): 649-656. 于明杰, 王京彬, 毛启贵, 方同辉, 张锐, 程奋维. 2016. 东天山卡拉塔格地区梅岭铜(金)矿床M1号矿体黄铁矿热电性特征及其地质意义[J]. 矿产勘查, 7(1): 149-156. 余文林, 葛文胜, 廖华, 胡卫星, 卢树东, 刘旭, 李磊, 王全乐. 2018. 新疆西准噶尔提依尔金矿黄铁矿热电性与微量元素特征及其地质意义[J]. 现代地质, 32(1): 66-76. 翟德高, 刘家军, 韩思宇, 王建平, 张红雨, 柳振江, 杨隆勃, 张华锋, 吕军. 2013. 黑龙江三道湾子碲金矿床黄铁矿标型特征及矿床变化保存过程分析[J]. 地质学报, 87(1): 81-90. 翟裕生, 苗来成, 向运川, 邓军, 王建平. 2002. 华北克拉通绿岩带型金成矿系统初析[J]. 地球科学, 27(5): 522-531. 张宝林, 蔡新平, 王杰, 徐兴旺, 秦大军, 高浩中. 1999. 大、小兴安岭北部中生代火山岩区岩金矿床剥蚀程度的初步研究[J]. 地质论评, (S1): 414-421. 张方方, 王建平, 刘冲昊, 曹瑞荣, 程建军, 杨永荣, 齐峰, 王罗. 2013. 陕西双王金矿黄铁矿晶体形态和热电性特征对深部含矿性的预测[J]. 中国地质, 40(5): 1634-1643. 张瑞忠, 王中亮, 王偲瑞, 刘育, 秦文凯. 2016. 胶西北大尹格金矿床成矿机理:载金黄铁矿标型及硫同位素地球化学约束[J]. 岩石学报, 32(8): 2451-2464. 张玙, 袁万明, 王庆飞, 刘向伟, 马楠, 赵凯. 2010. 吉林夹皮沟金矿带黄铁矿热电性及热爆裂特征[J]. 现代地质, 24(5): 870-879. 张运强, 陈海燕, 李先, 魏文通, 张振利, 许洪才, 刘增校, 彭芊芃. 2014. 华北陆块北部燕山地区中元古代辉绿岩地球化学特征及成因意义[J]. 中国地质, 41(2): 351-360. 钟福平, 钟建华, 艾合买提江·阿不都热合曼, 王毅, 由伟丰, 杨伟利. 2015. 华北克拉通破坏时间与破坏范围分布特征——来自银根-额济纳旗盆地苏红图坳陷早白垩世火山岩的启示[J]. 中国地质, 41(2): 435-456. 周学武, 邵洁涟, 边秋娟. 1994. 四川松潘东北寨金矿黄铁矿标型特征研究[J]. 地球科学, 19(1): 52-59.